A lightweight showdown between Justin Gaethje and Anthony Pettis is being discussed for a UFC card in early 2019, although the fight is far from official. Sources close to the matchup confirmed that talks are ongoing that would see Gaethje face Pettis in the first quarter of next year, but a date and location haven’t been determined yet. ESPN first reported the possibility of the fight. 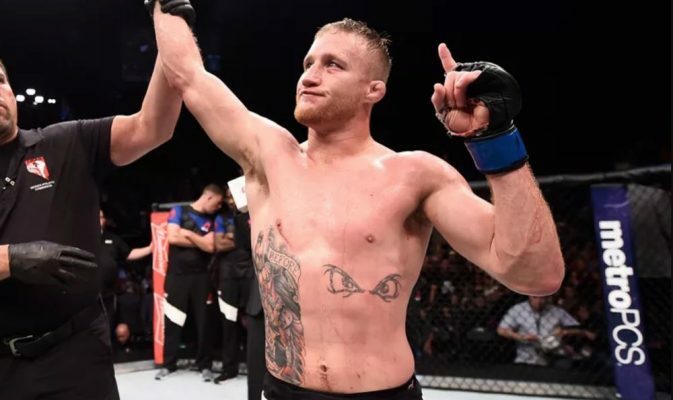 According to sources, there had been initial talks about this possible fight several weeks ago with the chance that Gaethje could face Pettis at the upcoming UFC on FOX card in Milwaukee in December. Pettis is a local favorite in Milwaukee and he would certainly draw a big crowd in his hometown but unfortunately he was still banged up from his last fight against Tony Ferguson and unable to compete as early as December. While alternatives were reportedly discussed for Gaethje, ultimately the decision was made to push him back to a later date as well. Now it seems discussions have started yet again for a fight between Gaethje and Pettis for sometime in early 2019. Gaethje is coming off a thrilling first round knockout against James Vick in his last fight while Pettis is coming back from a defeat against Ferguson that came after he defeated former ‘Ultimate Fighter’ winner Michael Chiesa. As of now, the UFC has made no official announcement regarding this fight much less when it would take place but talks are definitely ongoing to make it happen.